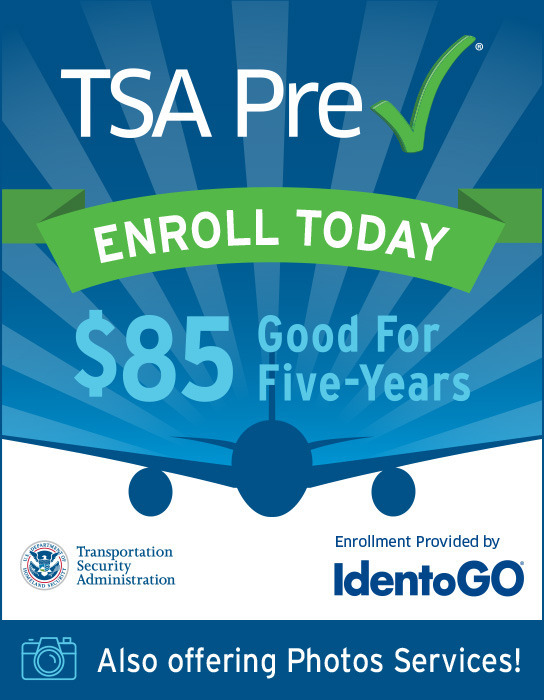 Enrolling in TSA Pre✓® just became even easier! IdentoGO, enrollment provider for TSA Pre✓® is opening 50 centers in Staples retail stores in 2018, with plans for further expansion next year. TSA Pre✓® allows trusted travelers to breeze through airport security by keeping on their jacket, belt and shoes, while electronics and 3-1-1 compliant liquids stay packed in bags! What are you waiting for? Start your application now and schedule an appointment at a participating Staples location near you to complete the 5-minute fingerprinting process. Don't forget to ask Staples sales representatives about our professional photo service too!